2. Experience: • Assoc. 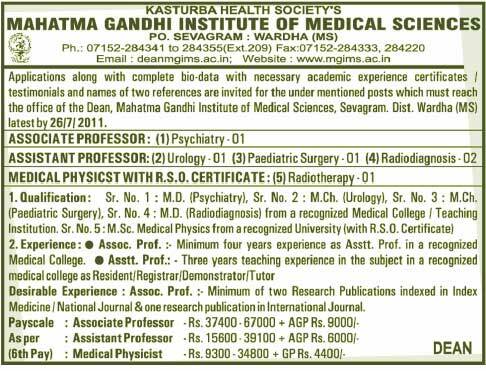 Prof.:- Minimum four years experience as Asstt. 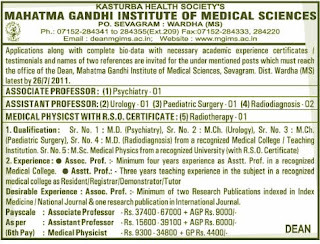 Prof, in a recognized Medical College. Desirable Experience : Assoc. Prof.:- Minimum of two Research Publications indexed in Index Medicine / National Journal & one research publication in International Journal.